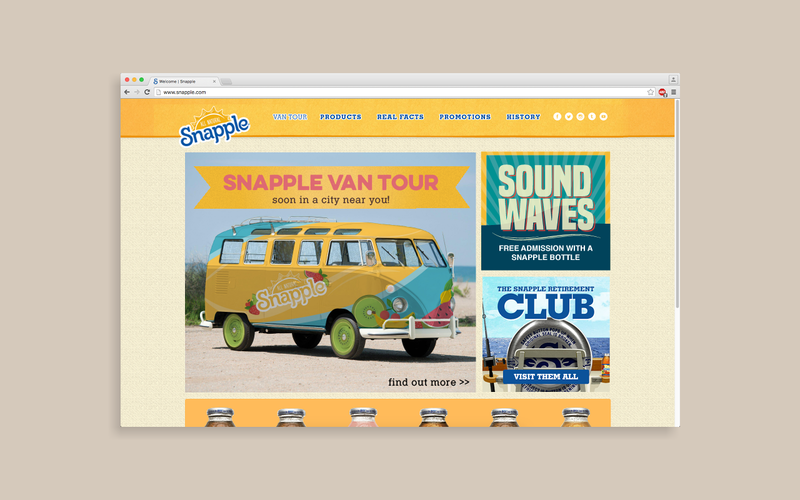 Snapple wanted to increase their sales volume in the U.S. by growing brand relevance, purchase frequency, and top-of-mind brand awareness with a budget of $50M. As the Design Director for the Bruin Advertising & Marketing Team, I led a team of five designers to produce creative executions and graphics for our campaign proposal and design the plans book with all of our research and findings. Since Snapple began bottling the Best Stuff on Earth in New York almost 50 years ago, they've boasted a loyal following in the Northeast. In Snapple's recent campaign "New Yorkers Love Snapple," the brand encouraged people to like Snapple simply because New Yorkers did. To extend this connection organically to Snapple newcomers in the rest of the country (the "Non-Heartland" region) while maintaining nostalgic appeal in the Northeast (their "Heartland" region), we created a dual-strategy campaign with distinct but complementary executions. "Snap into the Moment" was centered around our belief that the best moments are made from people, places, and Snapple. Our creative approach emphasized relishing each moment by staying present and savoring life's simple joys. 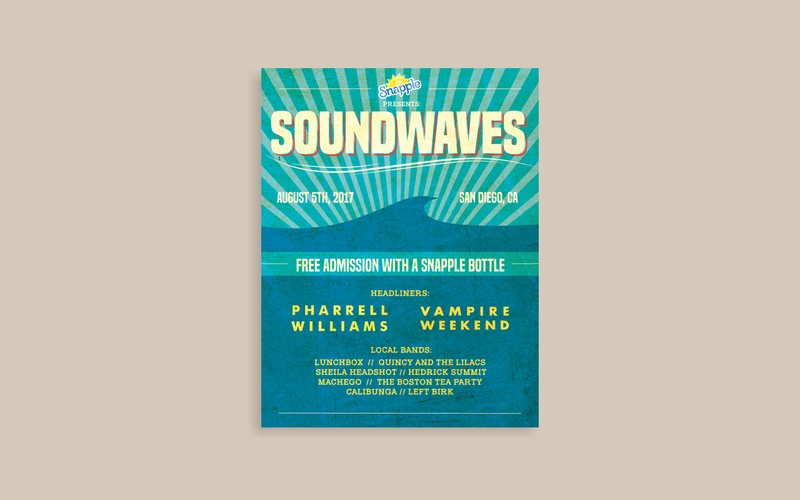 Our light-hearted campaign embraced the brand's unique identity and celebrated a variety of quirky and spontaneous situations where customer's could seize the day by enjoying a Snapple. Our design approach focused on conveying a sense of playfulness and warmth to accompany the fun and friendly nature of our creative strategy. Our campaign executions featured vibrant colors with clean shapes and illustrations to create a bright aesthetic. Through preliminary tests conducted before and after explosure to the campaign, we measured a 22% increase in brand relevance in the Heartland and a 16% increase in top-of-mind brand awareness in the Non-Heartland.